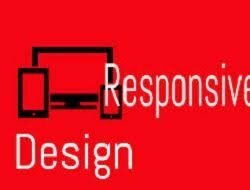 You must have heard of responsive web design and its importance to digital marketing space. Responsive website design is extremely important to reaching the maximum audience possible. If you do not currently have a responsive website design, you could be missing out on a massive number of visitors every single day. Roughly 60% of Web users now get primary access to the Internet on mobile devices/tablets and this means that without a responsive website design your site may be inaccessible to your customers. Mobile usage is only going to continue growing through the creation of better mobile technology and your business must meet those opportunities. Many of your customers can learn more about your business through mobile searches and social media. However,if your website isn’t responsive, then your website will not appear on their mobile searches. You would be leaving money on the table. Search engines now favor mobile friendly/ responsive design. A responsive site not only perform better in search rankings but they can continue to deliver better user experiences. In addition, it’s easier to have one site than to manage a mobile site and a desktop site. This can be exhausting as a small business owner. Instead you can enjoy having just one site through a responsive web design. Contact us if you’d like us to design a responsive site for your business.